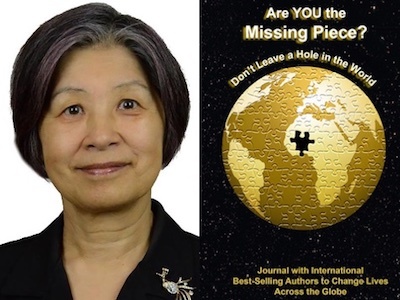 Margaret Chen is featured in Expert Insights’ #1 Int’l Bestseller, Are YOU the Missing Piece? Margaret Chen is the Originator of Color-Coded Reading System; Discoverer of the Sound/Spelling Relationship Theorem, Developer of RiC Teaching Methodology, and Designer of Reading in Color (RiC) Educational Resources. 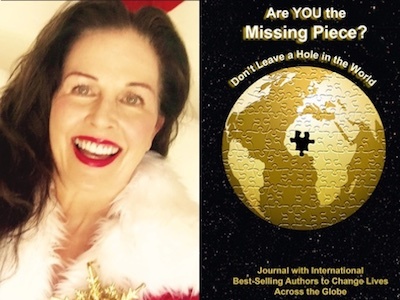 Bernadette Dimitrov is featured in Expert Insights’ #1 Int’l Bestseller, Are YOU the Missing Piece? Bernadette Dimitrov Bernadette Dimitrov, aka Australia’s 1st official Mrs. Claus, is a Happiness and Peace Ambassador, Best-Selling Author, Trainer and Founder of SantaClausPeaceSchoo.com. We have taken over 1,200 authors to Bestseller! John Matheson & Dan Crowley’s Commercial Loan Success will soon be the latest! John Matheson is a business owner with a vast background in real estate and investment. His unique endeavors have taken him all the way to Wall Street. Dan Crowley is a commercial banker. He is accredited as the creator of a CLS software that has channeled billions of dollars in commercial loans to date. 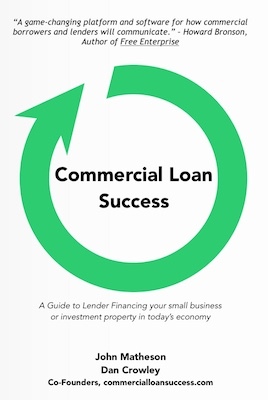 Their new book, Commercial Loan Success: A Guide to Lender Financing your small business or investment property in today’s economy, accompanied by software, provides comprehensive and adaptable step-by-step solutions to all problems that current business owners might face while seeking a commercial loan. Not only do the authors share essential information about acquiring secure commercial loans, they also provide effective solutions for paying the loan back. 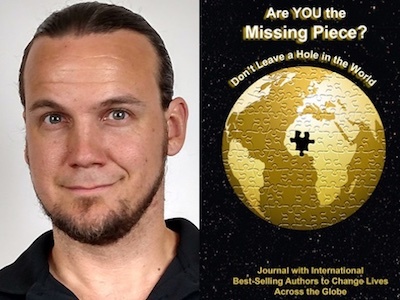 Bill Hargenrader is featured in Expert Insights’ #1 Int’l Bestseller, Are YOU the Missing Piece? Bill Hargenrader, The Next Level Coach, is a Best-Selling Author, International Speaker, Founder of True You Solutions, Successful Online Summit Systems, and Next Level Life. 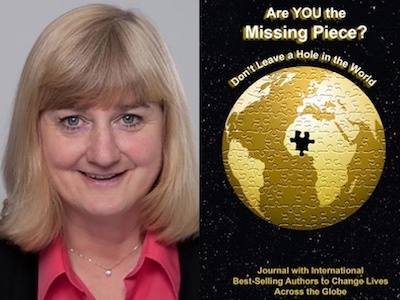 Maria Luchsinger is featured in Expert Insights’ #1 Int’l Bestseller, Are YOU the Missing Piece? Maria Luchsinger is a Best-Selling Author, Speaker, Founder of The Women’s Career Transformation Network. Also as a career strategist, she coaches women so they can find joy in balanced lives. 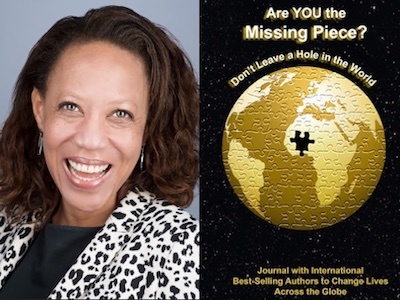 Jenny Garrett is featured in Expert Insights’ #1 Int’l Bestseller, Are YOU the Missing Piece? Jenny Garrett is an award-winning Coach, Author, Trainer and Speaker. She is Transforming the World for everyone, One Empowered Woman at a Time. We have taken over 1,200 authors to Bestseller! Dr. Princely Ebwe’s Real Power Through Success and Failure will soon be the latest! 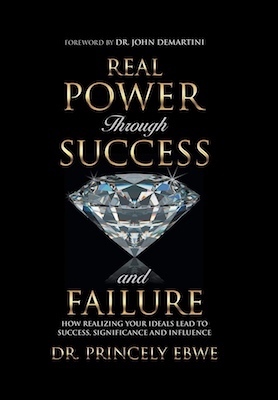 Real Power Through Success and Failure provides comprehensive insight on realizing one’s real power in order to overcome failures and limiting factors. It also touches on many crucial factors that hold people back from accomplishing more in life. Dr. Ebwe believes that one can only truly start a transformational experience if they start looking at their failures from a different perspective. Dr. Ebwe describes influence as one of the major components for success. In his book, he provides intellectual and educational resources on creating and increasing one’s influence in personal and professional settings. The tools provided in his book are bound to help people live a successful life full of authenticity, mindfulness, fulfillment and mental clarity.